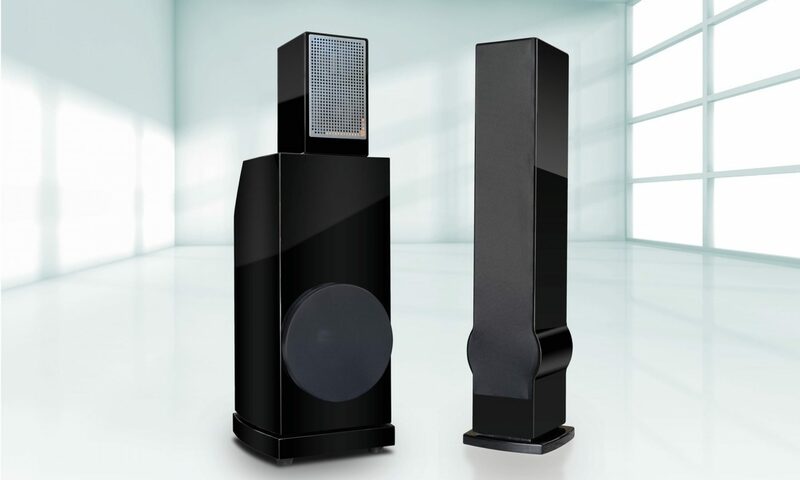 After the Voicebox S and Voicebox EBS were designed and prototyped, their performance as a full-range system was so exceptional that we decided to combine the two into a single slim floorstander that has a smaller footprint and a lower cost. The result is the Voicebox FLS. The top part of the Voicebox FLS is, in fact, a Voicebox S. It sits on top of a acoustically separate volume that houses a slimmed down version of the Voicebox EBS. This ‘skinny’ EBS has a slightly smaller driver than the Voicebox EBS, has a slightly smaller volume, but uses the same plate amplifier (Voicebox EBA-150). A pair of Voicebox FLS is sonically identical to a pair of Voicebox S + a pair of Voicebox EBS combined, except that the Voicebox VBS/EBS combo reaches down to 20Hz, whereas the Voicebox FLS reaches down to ‘only’ 30Hz!